Comment: Spring is here and I want to have my house exterminated for any and all bugs and insects and possible rodents. I do not like creep crawly things. Comment: Bought home 1.5 years ago only to find there were rodents accessing home. Had ongoing exclusion work done. Last rat was caught 6 months ago and have had no signs since. Came home tonight and saw rodent waste in house. D and N Weed & Pest Control, Inc.
Bryan Pest Control Services are rated 4.76 out of 5 based on 359 reviews of 9 pros. 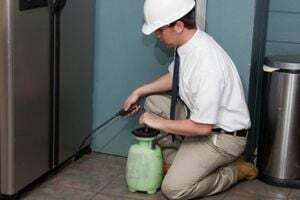 Not Looking for Pest Control Contractors in Bryan, TX?